According to Asian Americans United, 47% of the Asian-American population in Philadelphia have limited English. Launched in 2014, the "State of Asian Americans in Philadelphia report" also notes that over 1/4th of the Asian American population in Philadelphia live in poverty and that the rate of turning over into poverty is double that of the city. 41% Cambodians, 33% Chinese, and 31% Vietnamese are below the poverty line, compared with 30% African Americans. Combine this with the understanding that the Asian population in Philadelphia is growing exponentially, as taken from the US Census. With an overall population estimated at well over 1.5 million, Asian-Americans make up over 7% of Philadelphians. This translates into about 110,000 Asian-Americans in Philadelphia, of whom 47% do not speak English proficiently. That's almost 1/2 of the entire population of Asians in Philly. As a member of the community and a future healthcare professional, do you realize what a significant patient population this is? Think about how many people need help but don't know how to ask for it. What about science, education, and technical skills to help these populations elevate their socioeconomic status? This reflects a lack of focus on health education, preventative medicine awareness, and public health that could help improve the health & wellness of your Asian-American patient populations. This is why APAMSA is important. We're educating our members on cultural differences, language barriers, and how to succeed in community health. It's our responsibility to reach out because we are in a position to do so. In order to effectively reach out to our patient population, we need to find ways to connect with them and help them feel comfortable. Society will only become more and more integrated and open. 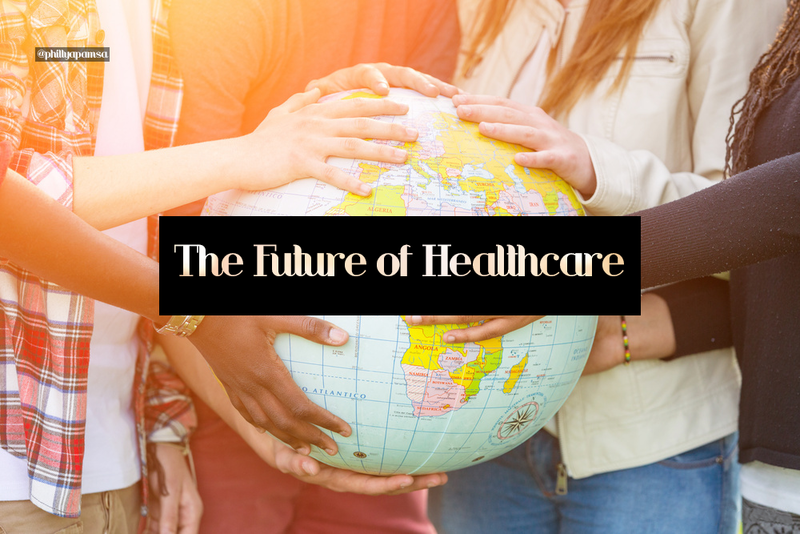 The scope of healthcare will have an international lens, and we must adapt to become internationally-minded professionals if we want to understand and bond with our diverse and multilingual patient communities. According to Global Philadelphia, Asians in Philadelphia come from more than 15 countries--from Pakistan to the Philippines. "While many have become citizens or permanent residents of the United States, numerous others are living as undocumented immigrants. Many from China or India are professionals employed by leading businesses and universities. Others work in low-wage jobs despite advanced degrees. A number of Vietnamese and Indonesian immigrants have arrived as refugees. Others are here to seek asylum..."
What is PCOM APAMSA doing to fulfill this need? We must constantly challenge ourselves to grow and adopt skills that can be useful outside of the classroom, beyond one event, and even to be enhanced throughout the rest of our lives. This is why PCOM APAMSA is excited to launch an innovative, new Community Language Series for members and those eager to learn more. There are technically 44 Asian countries in the world. 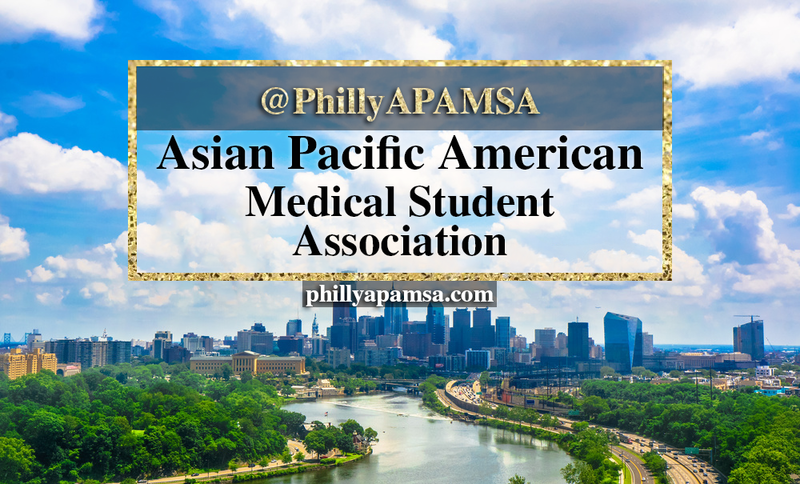 The skills PCOM APAMSA will give you stretch beyond medical and grad school in Philadelphia. When you think about how much the Asian populations are growing, you can see why it's in your best interest to plan for future needs now. We are beginning an introduction to Medical Mandarin this year, as well as teaching our members basic phrases in a variety of languages: Cambodian/Khmer, Vietnamese, and even French (due to francophone countries). Members will also have access to special recordings of the phrases so that they can listen and practice on their own time. What else about your patient population? The first Cambodians settled in West Philadelphia, but in the last 20 years most have migrated to South Philadelphia. Other areas with pockets of Cambodian immigrants include North Philadelphia, Logan/Olney, and Upper Darby. The Chinese immigrant population is concentrated in Chinatown, located in Center City East. Professionals and the upwardly mobile tend to live in Center City and in suburbs such as Drexel Hill, Radnor and Cherry Hill. Other areas with Chinese immigrants include Center City, University City, and South Philadelphia. Koreans are historically concentrated in Olney and Cheltenham. More recently, Koreans have tended to settle directly in suburban areas as opposed to urban neighborhoods. A majority of Korean-American families are Christian (Baptist and Presbyterian) and services are often held in Korean. There are a growing number of elderly Koreans in the area. A large population of Indian immigrants can be found in the Northeast Philadelphia areas of Somerton, Bustleton, Pennypack/Academy Gardens and Oxford Circle. An Indian presence is also found in West Philadelphia and the University City and Powelton Village Areas. Many of those living in the Far Northeast tend to be white-collar professionals, though a percentage of this group also lives in the West Philadelphia and Center City areas. Blue-collar workers tend to live mostly in West Philadelphia neighborhoods. The majority of Indonesian immigrants live in South Philadelphia in neighborhoods west and east of Broad Street such as Point Breeze and Wharton/Hawthorne/Bella Vista. A smaller cohort of mostly ethnic Chinese Indonesians lives in the East Center City Chinatown neighborhood while other Indonesians live in North Philadelphia or the Northeast. There are fewer small children and elderly adults than in comparable Asian immigrant groups who have lived in the United States for a longer period of time. Many middle to lower-class Vietnamese live in South and Southwest Philadelphia, North Philadelphia, Kensington, Harrowgate and Center City. White collar, middle and upper-class Vietnamese mostly live in Montgomery and Bucks County. Philadelphia has the third largest Vietnamese immigrant population on the East Coast behind only northern Virginia and Boston.